By offering hosting a platform that offers a policy to treat all customers equally, UKoptions has established itself as a straightforward broker. The company stands out from the other brokers in the market because it offers training for its traders in all aspects of trading in binary options. By going through such education from the broker, traders stand a better chance of succeeding in binary options. There are various things that a trader will consider in order to select the appropriate broker for him or her, including safety. UKoptions clearly understands this need and has various safety features backing its banking services. In this regard, UKoptions has various safe and secure withdrawal options in place for all its customers. With an array of methods to withdrawal their funds from UKoptions, traders may use Master and Visa Cards, Maestro, CashU, Wire Transfers, Skrill or NETELLER to withdraw their funds. In addition to the withdrawal process at UKoptions being safe and secure, the withdrawal process is also simple and straightforward. All you need to do is indicate the amount you would like to withdraw from your account and click on the withdraw button. This action will redirect your to the withdrawal form that you need to fill and submit. After you have submitted the withdrawal form, the processing part of the process will be initiated immediately. Basically, all the withdrawals from UKoptions are processed within a period of one to three business days. After the withdrawal request has been processed, the withdrawn amount will be transferred to the withdrawal option you used to withdraw. For the wire transfer option of withdrawing funds from UKoptions, the trader will have to wait for up to seven days for the money to be available in his or her bank account. However, for you to successfully withdraw from your UK options account, you need to have a balance of not less than 50 pounds, US dollars or Euros. Just like with almost any other banking system, Ukoptions withdrawals have a couple of disadvantages. For instance, new traders are not allowed to withdraw from their accounts for a period of 30 days. This implies that you will have to wait for a month, after opening your Ukoptions account, for you to withdraw any profit you have made while trading binary options. Again, the broker does not allow traders who have not traded their bonuses to withdraw from their accounts. If you have to withdraw your funds using wire transfer, you will have to pay the $25 monthly wire transfer processing fee to the broker. Regardless of the few disadvantages with their systems, Ukoptions remains to be one of the best binary options brokers in the market today. This may be attributed to the fact that the broker offers vast educational material, the live chat customer service in place and its diverse banking options. Among the many benefits associated with trading binary options is that it offers trades a fast and rather easy way of making money online. However, for traders to traders to take part in this lucrative trade, they will need to sign up with a reputable broker and make a deposit. Since you will be depositing a certain amount of your hard earned money, you have to make sure that the broker you have chosen offers outstanding solutions and services, in addition to using state of the art technology to enhance your chances of success in this trade. While opening a trader account at Ukoptions, you will be allowed to choose your preferred currency, including EUR, USD and GBP. Additionally, you also need to know that the broker will not allow you to trade in more than one currency. This implies that you need to be careful while setting up your account and indicate the type of currency you will be using. Once through with the registration process, you will be required to make an initial deposit for you to open trades. The initial deposit at Ukoptions is 250 USD, GBP or EUR. This deposit is not to cater for any fees by the broker; it is the balance that will appear in your trading account and which is available for you to open binary trading positions with the broker. However, the minimum deposit amount by this broker depends on the type of trading account you have. This is mainly determined by the benefits and features offered by such account types. As a new trader, you will have to wait for several months, after opening a normal account, for you to be in a position to open a VIP binary option Ukoptions account. Why Is There A Minimum Deposit? Since Ukoptions is a dedicated and serious broker, it came up with a way of discouraging traders who are not serious about binary option from registering accounts with them. This is precisely why the minimum deposit at Ukoptions was set at 250 currency units. 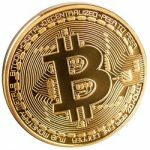 After depositing this amount, you may decide to use it to open trade positions or use the various bonuses offered by the broker to its customers. In this regard, it is advisable to that you constantly check the various bonuses offered by Ukoptions to its new and old traders. Although 250 currency units is the current minimum deposit imposed by this broker, the maximum amount of money you can deposit to your trading account is limited by the method you are using to deposit. The broker allows for deposits using various methods. This leaves the traders multiple deposit options, such as credit cards. If credit card is your preferred deposit method, you will be allowed to link up to three cards to your Ukoptions account. Additionally, you will be allowed to make up to ten transactions per card and have a maximum deposit amount of $20,000. For deposits using bank wire, there is no maximum amount of money that you can deposit to your account. Currently, Ukoptions is among the leading binary brokers in the world. This is partly due to the forward and domain thinking perspective by the broker. As such, it does not matter the type of trading account you have opened with Ukoptions; you will be in a position to access the outstanding features and services by this broker, including round the clock customer care services and unlimited access to binary options educative materials. If you would like to get further clarification on the withdrawal and deposit processes at Ukoptions, you should get in touch with the customer care representatives through live chat, email or by filling the online query form. Just like it is the case with many binary options brokers out there, Ukoptions is not able to accept binary options traders from Israel. Currently, there are various Israeli regulations that restrict Ukoptions processes. As a result, the broker is not in a position to accept Israeli traders. However, all other traders in the European region are welcome to open binary options trading accounts with Ukoptions. In addition to offering an easy and fast way of profiting from speculations in the financial market, this broker allows helps its customers to benefit from this trade, regardless of their experience in binary options. You also need to note that you cannot trade in binary options without opening an account with a broker, such as Ukoptions. Being one of the best brokers in the world, traders in Israel may be frustrated to find out that they cannot open trading accounts with UKoptions. Traders in Israel should not be alarmed because the broker will deny your application before you can make the initial deposit. To open a binary options trading account with any broker, you will be required to submit your personal details. As such, Ukoptions will detect your location at this stage and prevent you from proceeding with the deposit. For the period Ukoptions has been in business, they have strived to offer unique and satisfactory services to satisfy their customers in the various parts of the world. However, there are certain regulations that were imposed recently; restricting the broker from accepting traders residing in Israel. The same regulations have limited the ability of many leading binary options brokers to accept traders from the US and Israel. Ukoptions is a well renowned binary options broker that is duly registered in the UK and is run by Worldwide Tech Limited. Over the years, the company has become very popular mainly die to its ability to offer unmatched services and state of the art solutions to its customers. The trading platform offered by this broker is based on One Touch and Spot Option solutions. Additionally, the platform is well integrated with banking as well as with data stream. The evolution of this broker has been primarily geared by its desire to offer satisfactory services to its customers. In this regard, Ukoptions has an Islamic account, an account that is specifically designed o meet the requirements of Muslims. It is rather unfortunate that the broker cannot accept traders from Israel, but this is because of the recent regulations. If you happen to reside in Israel and would love to trade in binary options, you need to research on the reputable binary options brokers that accept traders from Israel. We have compiled a list of the trustworthy and white listed binary options brokers for you. This will help you avoid scammers in the industry and still make money while trading binary options in Israel. If the customer restriction terms for Ukoptions happen to change in the future, we will notify you. Owing to the highly modular platform on offer by Ukoptions to its customers, it has become one of the preferred binary options brokers across the globe. This is also the case with the residents of USA. 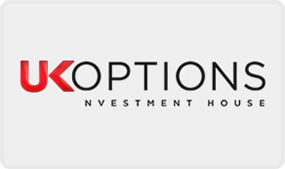 Ukoptions is not only one of the few leading brokers that accepts traders from the US, but also offers outstanding features and services to these traders. Additionally, more US binary options traders love the broker for the high bonuses it awards its customers. Again, US trader can trade using the same binary options platform being used by European traders through Ukoptions. This is very commendable because numerous brokers, who accept US traders, have a different platform for the traders in the US. 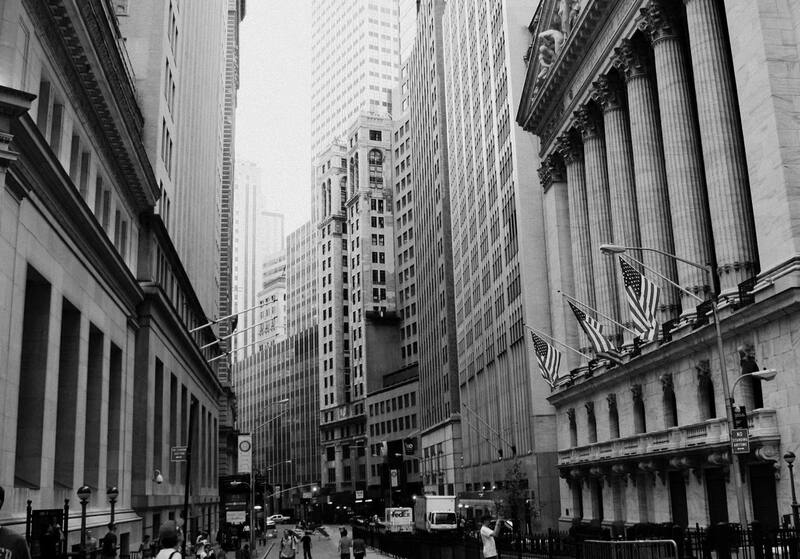 The broker is unique in that all the traders using its services have access to the same features and services, regardless of their geographical location. Since the company is based in the UK, the website, in addition to the educational materials on Ukoptions website are in English. As such, US-based traders should not have any problem while using the platform. Additionally, the Ukoptions platform is well integrated with the various banking and stream options in the US. This is in a bid to give the US-based traders easy time while withdrawing from and depositing into their accounts. The many US binary options traders who are using this broker are happy with its services, such as a short processing period for withdrawals and a variety of withdrawal and deposit options. The US traders using this platform are also happy with the 30 days holding period prior to the first withdrawal. This period allows the traders to use all their bonuses and make more profit from their investment. The traders using Ukoptions in the US can also attest to the fact that this broker offers prompt customer care solutions through the live chat option on their website. Alternatively, the trader may file a query form on the website, after which customer care representatives at Ukoptions will contact him or her. The broker also allows traders to trade in US dollars, an option that is highly convenient for US traders. This option prevents the traders from losing money while exchanging their earnings into US dollars. If you are looking for a convenient, trustworthy and well renowned trader that accepts US traders, you should opt for Ukoptions. Since Ukoptions is a reputable binary options broker, there are various ways of contacting the broker. Additionally, the company boats of a prompt customer care response to any concerns and questions by traders on its platform. As a matter of fact, the quality of customer care services is an aspect that Ukoptions from its competitors. 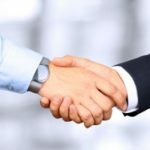 In this regard, the company offers multiple channels, through which the traders can quickly and conveniently contact the professional and skilled customer care representatives from the company. Regardless of the country you are in, you can get in touch with the Ukoptions customer care representatives as easily as a person in the UK would. The number of people who would use the contact form is definitely not small. On the one hand, we are talking about a binary options trading platform whose presence on the market is not that long, so it is only natural for people to contact them and ask questions. On the other hand, the FAQ section on their website is not that rich in answers and some trading topics have been left out. This is why users might want to contact support directly to send their inquiries. Browsing through the website, we were able to find various ways through which traders can contact Ukoptions. To begin with, the Ukoptions binary broker website is user friendly and very easy to navigate, even for the beginners. Some of the ways through which you can get in touch with Ukoptions are through email address to the customer care department. Alternatively, traders can also voice their concerns to the customer care representatives by filling and sending an online form that is found under the ‘contact us’ part of the website. While using these two methods of communication, you should expect prompt and professional response. In most cases, traders get a response to their enquiries in less than an hour. Another great aspect of the customer care at Ukoptions is that it is comprised of a team of polite, informed and attentive representatives. Regardless of the type of question you have, such as problems with withdrawals and deposits into and from your account, the representatives will give you a thorough answer. If you are looking for an instant answer or if your problem is more urgent, you may also contact Ukoptions through the various numbers they have provided on the website. The phone numbers are provided according to the traders’ geographical locations, including numbers for Australian, United Kingdom, Canada, South Africa, Germany and Switzerland traders. The fact that the broker has provided various ways, through which the traders can get in touch with its customer care representatives, indicates that Ukoptions is dedicated to offering the best services and assistance to its customers in all parts of the world. You may also get an instant response from Ukoptions through live chat through their website. Basically, it is imperative for binary options brokers to offer quick and professionals customer care services to its traders. Based on the response time, the available channels of communication and the quality of response provided, Ukoptions is by far one of the brokers with the best customer care services across the globe. This readiness to assist its clients in a prompt manner may also be taken to indicate that the company is reliable. Although Ukoptions binary options website doe not have an extensive FAQs page, traders can get quick answers to their questions from the customer care department. Again, the broker does not offer a risk-free trial account to traders. However, the various traders who have ever used this broker can attest to the fact that Ukoptions is one of the best binary options brokers in the world today.